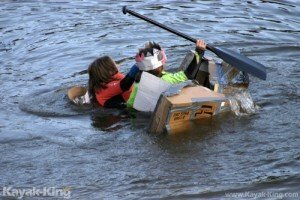 Cardboard kayaking equals laughter, dedication and soggy bottoms. A perfect combination of a silly evening in Fishguard. 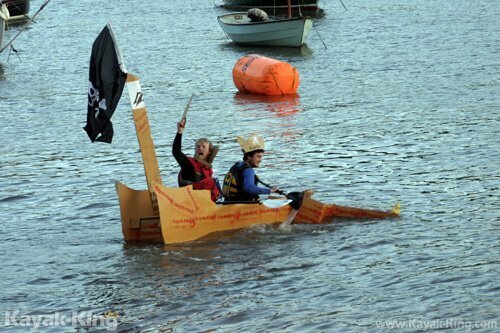 While the cardboard kayaking entrepreneurs went about their intrepid sinking activities the spectators, a few hundred of them, enjoyed the excellent music (provided by Chris Tullet Entertainment, food to die for, lovingly cooked by Jo and her team at the Cafe on the Quay and drinks from the Fishguard Bay Yacht Club. The whole event was filled with cheering and laughter. 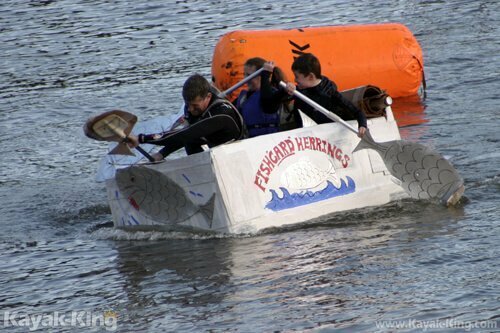 The atmosphere was electric as the cardboard kayaking competitors took on our course. 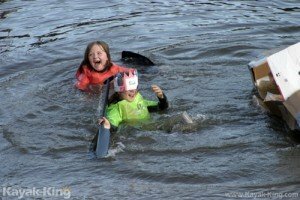 Some of the kayaks had a very short but sweet entry into the event and went down with massive smiles to the delight of the audience. Other competitors lasted for over half an hour. 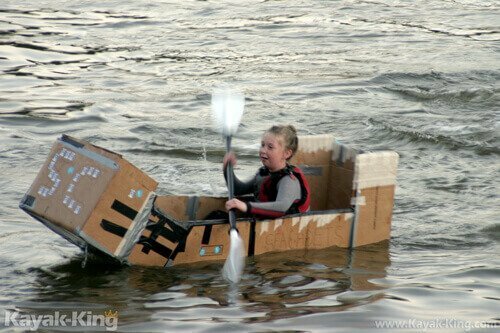 One cardboard kayak made by the Fishguard Sea Cadets, piloted by Molly, lasted the whole competition, survived capsize and was still seaworthy at the end of the night. They put it back in their trailer and took it home again!!!! Truly impressive and well deserved Last Kayak standing award.